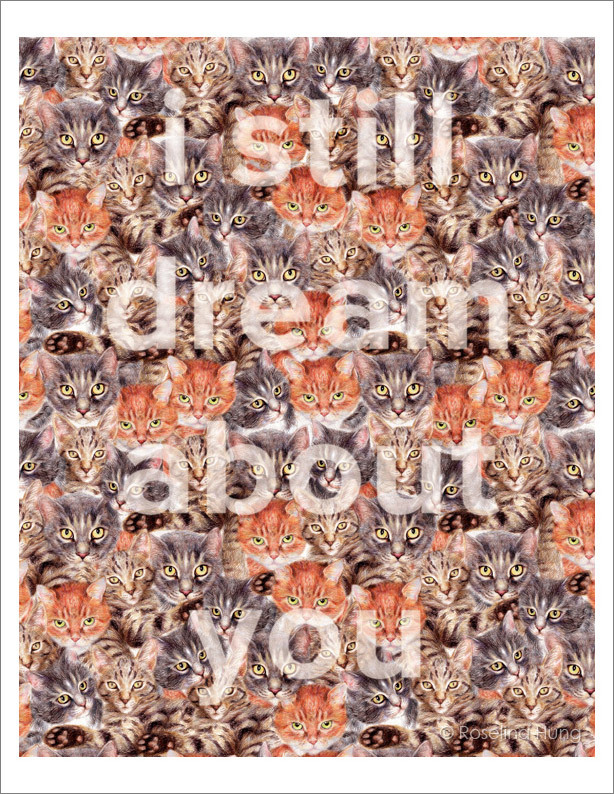 i still dream about you (cats) is a digital collage made from my original pencil crayon drawings, and it will appear in the upcoming Cat issue of Sad Mag. I am releasing an open edition archival digital print of i still dream about you (cats), and until the end of the year, I will be donating $5 from each print sale to the BC SPCA. For more information and to order the print, please visit my Editions page. I am currently taking orders for the print, which will be available in mid-December.